On 11 July, the Kerala High Court granted bail to all 43 people accused in the Puttingal Devi temple fire, almost three months after the tragic blaze. 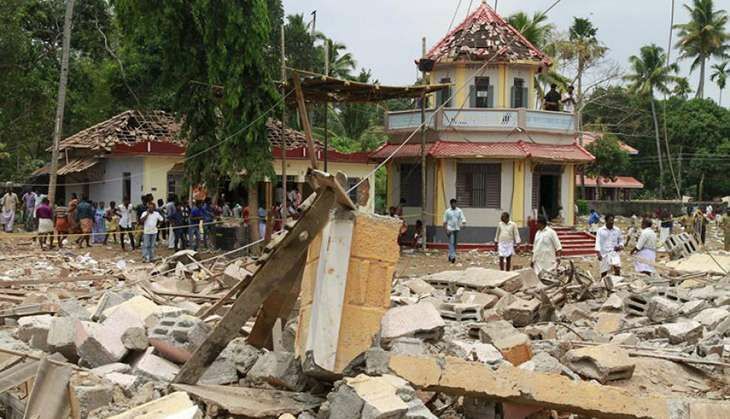 At least 107 people were killed and 383 injured when a fire broke out during an unauthorised display of fireworks at the Paravur temple, south of Kollam, on 10 April. According to reports, the mishap occurred when sparks from the firework display made their way to the storeroom, where a huge cache of fireworks were stored - to mark the end of the Meena-Bharani festival. The blaze led to uncontrolled explosions, trapping several devotees within the complex. Some were killed and many wounded after chunks of concrete and plaster from the temple and nearby buildings fell down on the crowd. The incident also sparked off a major debate about a ban on fireworks. It was decided that high decibel fireworks would not be permitted and that more safety measures would be introduced.